I got hit by a car and almost died and now I help people to realize the essence of life. Longer summary below. Inspiration by truth. Ton Nguyen is an experienced speaker, youth leader, and entertainer. From working with leadership groups to speaking at conferences with over 3000 attendees, Ton Nguyen will always deliver a dynamic, entertaining, and engaging product. Often times you hire an inspirational speaker and they fall flat with your youth and adults. Ton Nguyen uses real life examples and life stories to illustrate and inspire youth and adults to lead a better life. His ability to connect and inspire is second to none. Hiring me means a couple of things: It means that you will get someone that is very real and doesn't sugar coat things. You'll be getting someone who loves having fun and always has engaging activities for a crowd. Ton Nguyen immigrated to America with his 7 siblings, mom, and dad at the early age of 6. Growing up in a neighborhood with violence, he has had his struggles. Through it all, he has been able to persevere and give back to his community. Today, he is a college graduate, a president of a youth group with over 150 youth, a Program Manager for a federal program, and an engaged man. With his ability to make people laugh and help people see the simple things in life, Ton's goal is to show the world how beautiful Love can be...in every aspect of your life. January 27, 2018 • 12:00pm - 4:00pm Young Adults: Where are you headed? 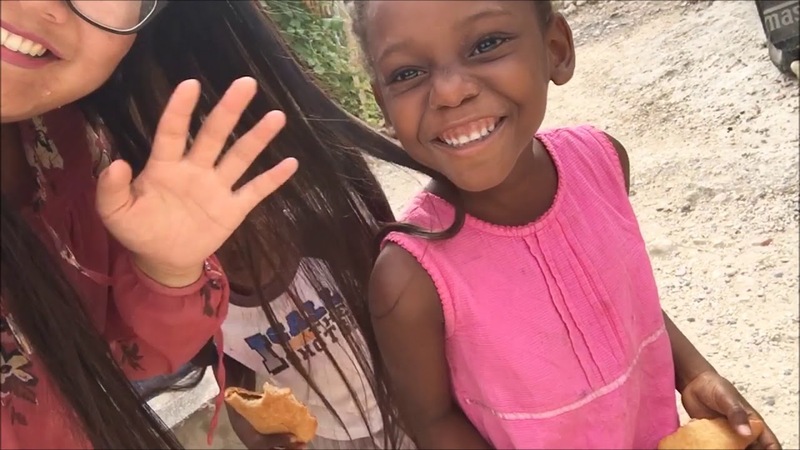 My mission trips to Haiti have influenced me to want to go and spread love.